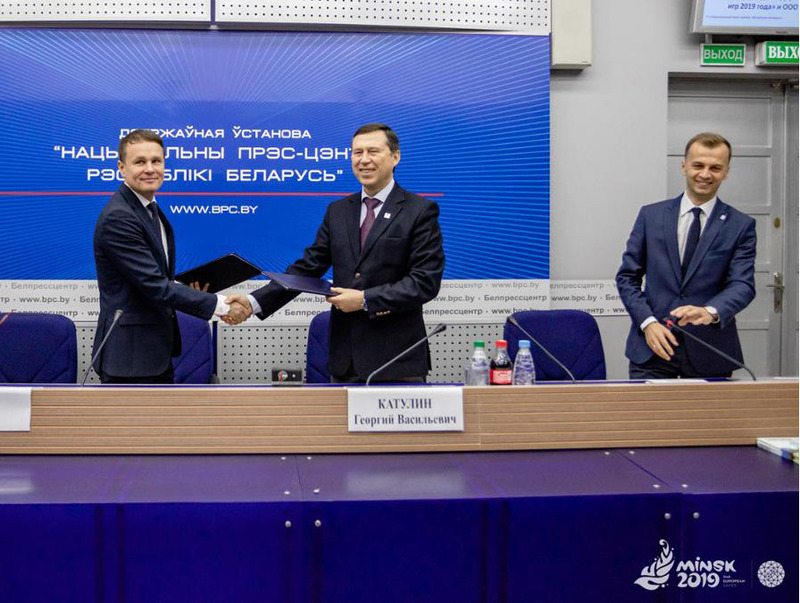 Euronews will provide coverage of Minsk’s preparations for the 2nd European Games next 21-30 June following the signing of an agreement yesterday by Minsk European Games Organising Committee (MEGOC) CEO George Katulin and Euronews’ International Sales Director Kjell Stein. According to the agreement, Euronews will produce and broadcast a range of video segments about Minsk 2019 and Belarus. In addition, Euronews’ programmes Focus, Metropolitans and Postcards will air reports about the country’s travel and tourism industry. A series of reports on Minsk’s preparations for Europe’s premier multi-sport event will also be broadcast. All content will be produced in 10 languages (English, French, German, Greek, Hungarian, Italian, Portuguese, Russian, Spanish and Turkish) and will be broadcast on TV and digital platforms. Since its launch in 1993 in Lyon, France, Euronews has been delivering trusted news and information in a non-partisan and in-depth way to TV audiences and digital users across the world in their language. Every day, a team of over 500 journalists from 30 different nationalities work together reporting on relevant stories to serve a global audience, driven by solid, uncompromising journalism. Euronews is the leading European news channel, reaching more viewers in continental Europe than any of its rivals, in spite of increasing competition. Euronews reaches more than 430 million homes across 166 countries.